Utile is working closely with Sasaki on a master plan for the Boston Convention & Exhibition Center and its proposed expansion, a facility with 516,000 square feet of contiguous exhibition space. Currently, Boston ranks 9th nationally in its ability to attract and conduct convention business. The master plan is part of a larger effort to make Boston one of the top five convention center destinations in the U.S. 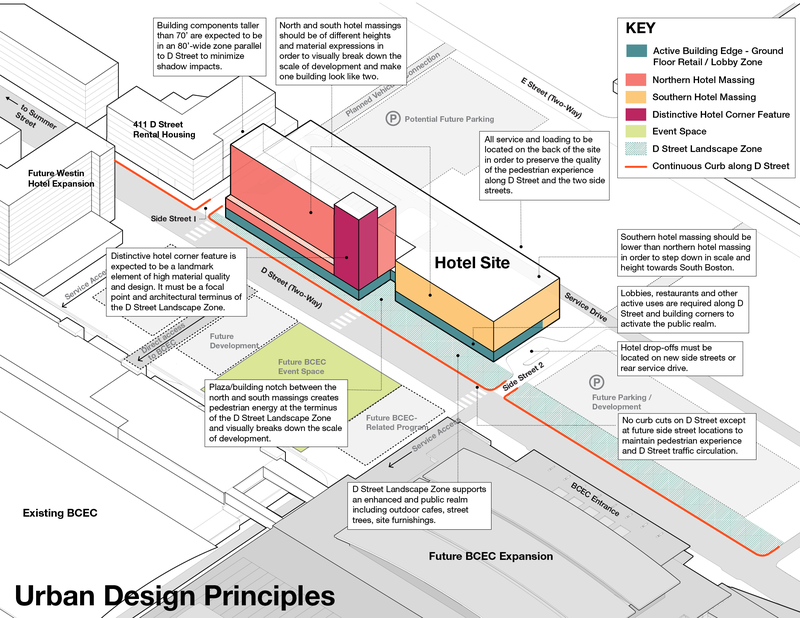 The Sasaki/Utile plan is primarily focused on how to locate new hotels and other development within a new mixed-use urban district that can serve for conventioneers, visitors from the metro region, and residents of nearby neighborhoods. The first stage of the implementation of the emerging plan was the issuance of a developer team request for proposals for two new hotels. As a result, the on-going planning effort will include real-time coordination with a selected developer team.